If you’re like me, there are probably loads of fashion styles you love but would never dare to try out. I’m a sucker for hats but I rarely wear them because they seem so ostentatious unless you’re going to a wedding or another formal event. Equally, I love a good cape, but apart from one very brief affair with a navy ASOS cape that ended up covered in dog fluff, I didn’t own any… Until this autumn, that is! I’ve taken the plunge with not one, but three new capes that I’m going to wear the heck out of this A/W, because if I’ve learned one thing about fashion, it’s that it should be fun, and also that the worst that can happen is people think you look odd. And honestly, life’s too short to worry about other people! First up is the Max Studio Doubleweave Wool Cape, which was incredibly pricey even on sale, but I’ve loved it ever since I saw it on Pippa Middleton last year. When I stumbled across it again on With Love From Kat on Pinterest, I followed the link, discovered it was on sale, and decided to get one for my birthday. It’s so heavy and thick I’ve not worn it yet, but I can’t wait! It’s still available in medium / large here. Finally, another Next purchase, the wool grey cape, available here. It’s pretty thin, has no pockets, and has openings for the arms rather than slits, which is my preference, but when you’re on a roll, you’re on a roll. I actually picked up the pink version first, but returned it when I found this one is grey, which fits into my wardrobe so much better. Do you have any capes in your collection? Or, do you love the style but haven’t taken the plunge yet? Let me know in the comments! Ah ah absolutely love this post!! 😉 and love love love the camel Max Studio one! Zara has some pretty ones as well…even a Black watch tartan one but apparentely you can’t rénove the hood… Anyway is FFF author going to buy some SW Half n half knee high suede boots to go with the camel cape??? Ha ha, I definitely don’t need more boots, I love my White Mountain lace ups and my R&B/SW wedges too much! Lucky you for grabbing that cape! I bought a jacket Pippa wore from someone who also had no idea, ha ha! Sneaky sneaky! I knew Olivia had that bag but I didn’t know she used it recently! It’s so beautiful, my favourite bag of all time! I even took it on the plane to Scotland even though it was not suited as a carry on whatsoever, ha ha! Good for you you don’t splurge on the RB/SW boots… But again … Wouldn’t that save a bit of your Aquatalia wedges?? I love capes too! I adore them right now! There’s something magical about a good cape! 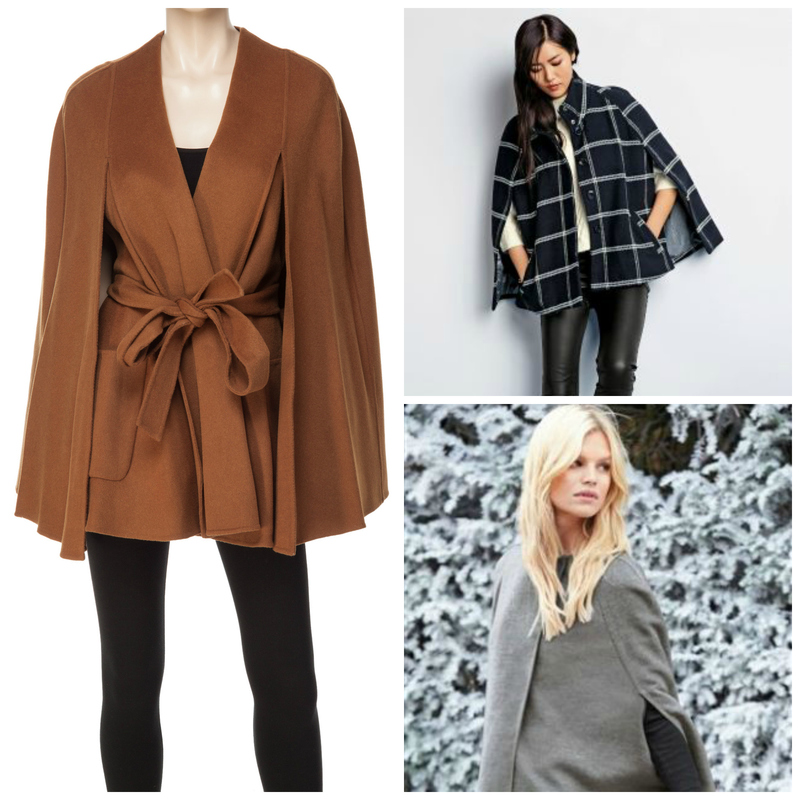 Camel is such a rich, autumnal colour – I definitely recommend looking for a cape that shade. And it’s easy to match to burgundies and oxbloods too! thats true and I totally agree with you 🙂 oxblood shades are really booming this year’s fall season!